Denver, CO (February 21, 2017) – In 2001, Boa Technology founder Gary Hammerslag started with one big idea to replace traditional shoelaces in snowboard boots with a faster, more convenient method of lacing up. The innovative platform that resulted, known as The Boa® System, consists of expertly configured dials, laces, and guides to ensure a precision fit every time. Today, Boa is the leading expert in fit optimization with over 83 million closure and adjustment solutions in products across golf, athletic, snow sports, outdoor, cycling, utility, and medical. Originating as a business-to-business model, Boa has grown with the support of its global brand partners to now provide more emphasis on brand awareness, consumer marketing and education, and the promotion of category-specific features and benefits of Boa-powered products. To reflect the expanded growth, refined innovations, and continued partnerships, Boa is excited to share a new corporate branding and visual identity, releasing globally in February 2017. The updated branding will debut across a newly launched consumer-focused website, and will be featured in consumer and trade advertising beginning next month. The entirely new website, TheBoaSystem.com, will focus on educating consumers about Boa, including the varying configurations across products and categories with Boa brand partners, as well as provide a platform to communicate new innovations, company news, and events. Additionally, as the company continues to stand behind The Boa Guarantee, customers can easily request replacement parts directly from the website. With the new brand identity also comes an increased involvement in product design and development, as Boa works side-by-side with its brand partners to develop unique fit solutions and achieve the ideal design through customized dial, lace, and guide configurations. 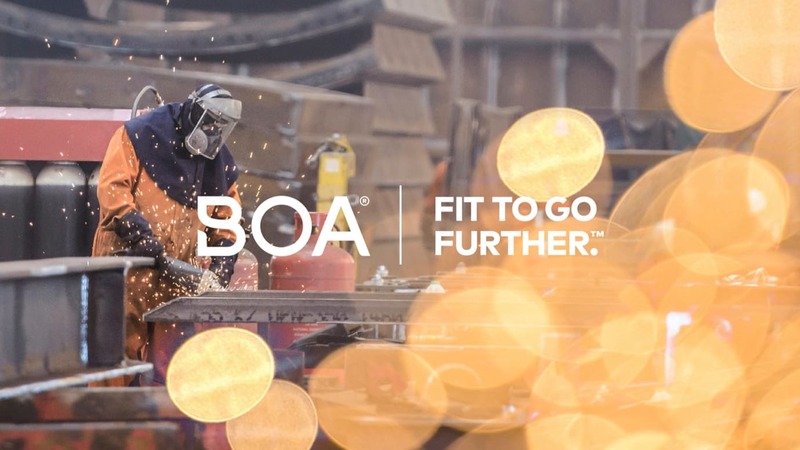 By putting passion into practice, Boa and its brand partners work collaboratively in making the world’s best gear even better.